Posted in: Crime Stoppers, Media Release, Put A Name with This Face, Reward, WANTED. Tagged: Rowe. 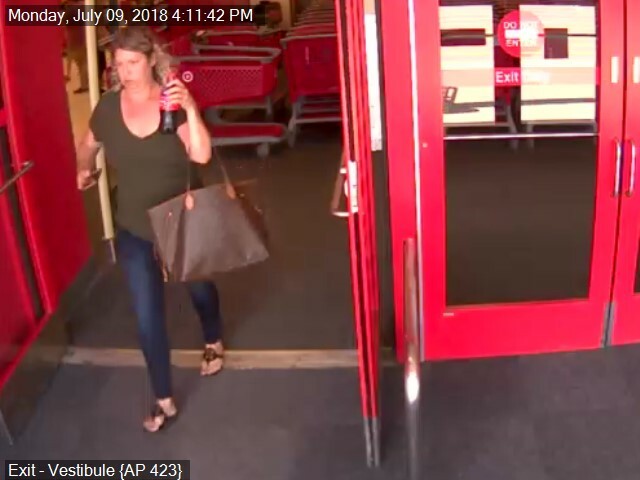 Franklin Police want to identify a suspect who used stolen credit cards last week at a Franklin Target and Walgreens. She got away with about $2,300 in merchandise ‘purchased’ with the stolen cards.